Dr. Deiters is practising at the IGZE in Esslingen. He is Consultant Specialist in Internal Medicine with special interest in preventive medicine. 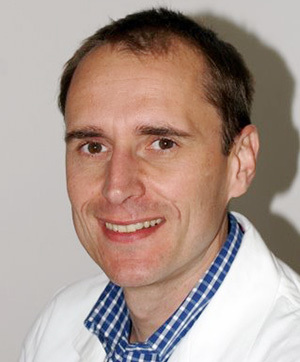 Dr. Deiters was trained at the Elisabeth Krankenhaus and the Alfried-Krupp Krankenhaus Steele in Essen. During this period he was also serving as an emergency physician within the Rescue Services in Essen. After finishing his training he moved to the U.K., where he became Consultant Physician at St. Mary’s Hospital, Newport, Isle of Wight. In 2006 Dr. Deiters started training as a specialist in Occupational Health with the Daimler AG, Stuttgart. Meanwhile he is working as a private physician, focusing on internal and preventive medicine, manual therapy, travel medicine and occupational health.